A Stop at Twilight Zone 4.0? And that, in a nutshell, is why I greet the prospect of a new Twilight Zone movie or TV series with a cautious optimism that’s … well, heavy on the caution. Consider, after all, why we’re even talking about a fourth TZ: because Serling created a series that is as fresh, as innovative and as entertaining today as it was 50 years ago. Indeed, TZ is rare in that it seems even more relevant today than when it first aired. Few classic series have aged as well. In the assembly-line world of weekly TV, where shows are cranked out with little pride and even less attention to detail, Serling and his talented crew went above and beyond the call. They poured quality into every shot and scene. TZ was truly a world-class affair from top to bottom. Alas, the first Twilight Zone revival, which came in the 1980s, fell short of the mark. This despite the fact that some top-notch writers, including J. Michael Straczynski, Alan Brennert and J.M. DeMatteis (among others, including original TZ scribe Richard Matheson) did some excellent work on the show. But while there were some memorable episodes, it was uneven (not unlike the final two seasons of the original Twilight Zone, to be fair). “There were episodes perfectly in keeping with The Twilight Zone spirit, and then others that could have been from The Outer Limits or from anything,” staff writer Michael Cassutt later said. At least the ’80s TZ managed to get through three seasons — two on CBS, one in syndication. The next revival, which came in 2002, aired for only one season on UPN. Efforts to remake or update several classic episodes from the original series served only to underscore how counterfeit the whole affair was. So, third time’s a charm, as the saying goes? Will the producers of a new Twilight Zone movie or TV show make a conscientious attempt to follow faithfully in Serling’s footsteps? Let’s hope so. Even less certain is the fate of the new Twilight Zone movie. The Leonardo DeCaprio-produced film has been in what Hollywood insiders call “development hell” for the last several years, with new writers and directors jumping on and off. One thing we do know is that it won’t mimic the format of 1983’s Twilight Zone: The Movie. Instead of a few standard-length TZs stitched together, the new film will be one long story. The latest word is that it will focus on a test pilot who breaks the speed of light and finds himself 96 years in the future. An intriguing concept, to be sure, and very Serling-esque. But a two-hour TZ sounds like a contradiction in terms. The 30-minute format suited the show perfectly. Serling discovered this firsthand when TZ’s fourth season went to an hour, and episodes that relied on a snappy twist ending began to feel padded. The new movie may well succeed, but if it does, can it fairly be called a Twilight Zone movie? Despite my caveats, I won’t write off either the movie or the series until I see them. I’m an unabashed fan of this genre, and the idea of a new Twilight Zone naturally sounds tempting. Even if nothing can top the original, it still would be fun if some smart producers, actors and writers could give us an entertaining update on a classic. But that doesn’t change the fact that it’s an incredibly tall order. Of course, it was easy for someone as prolific and gifted as Serling to make it sound as if ideas were out there to be plucked by anyone. (Even he, though, confessed to feeling “drained” before TZ was even halfway through its run.) And not all ideas are good ideas. But his point still stands. There are still entertaining stories out there to be told, and skilled writers could use a new TZ to present them. But what makes a good sci-fi or fantasy story right for Twilight Zone, and not a dozen other anthology series? The formula, as I’ve touched on in a previous blog post, can be surprisingly hard to nail down. Too many people think a sufficiently weird story does the trick, or that it boils down to the hardware. Include a robot, an alien or a creepy doll, and you’re good to go, right? Hardly. To be a TZ, you need a human element. The hardware, the weirdness … whatever your twist, it’s got to be at the service of a character or characters we care about. We have to be able to relate to the people or the situation being portrayed, or we’re not emotionally invested in the outcome. Ask yourself: Why is it heartbreaking when Henry Bemis breaks his glasses? Why are we relieved when Don Carter is able to break free of the Mystic Seer? Why are we grateful that Professor Fowler’s students stop him from committing suicide? It takes a good writer to come up with an entertaining idea. It takes a great one to create memorable characters and situations that bring that idea to life. The first one has imagination. The second one has imagination and heart. My concern for any new version of TZ is finding that second kind of writer. He’s far more scarce than the first one. I don’t mean that I despair of finding such writers. They’re out there. The writers of series such as “Lost” and “Fringe” know there’s little point delving into all those mind-bending concepts if you neglect to create characters that viewers react to almost as strongly as if they were real people. It’s hard to do that, especially on an anthology with no recurring or regular characters. (It was often said that Serling was the only “star” of TZ.) But it can be done. In fact, if the series is going to last, it has to be. Another challenge will be creating the right look. 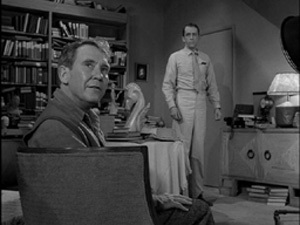 The original Twilight Zone had a look and a feel that set it apart from other television shows even when it first aired. The stark black-and-white images, the inventive camera angles, the shadow-laden lighting — all combine to tell us, from first frame to last, that we’re in another world. It’s like ours, yes, but something’s … different. That separation is crucial, I think, to creating a successful Twilight Zone for today. How can viewers be asked to suspend their disbelief if they’re presented with a world that looks, feels and sounds exactly like their own? We have to make their journey to a different plane of reality effortless. That doesn’t mean the new series has to be shot in black-and-white, as some have suggested (though it’s an intriguing idea), but you need a director of photography who is smart enough, and capable enough, to ensure that it doesn’t look like everything else on TV. (A decent budget is also important, although the original TZ managed to do some wonderous things on a virtual shoestring sometimes.) Getting the right look is essential. It’s not that a new TZ series has to be a retread of the original. (And please, don’t remake any classic episodes; you’re just begging for unflattering comparisons.) The producers simply need to be aware that no amount of special effects or other gimmickry can substitute for a good story, told with conviction, about characters with depth. You need someone who cares deeply about people, who wants not only to entertain them, but to lift them up, to write words like that. Someone with, yes, compassion. If we get that kind of writer on any future TZ, I think we’ll all be happy to renew our passports to the fifth dimension. Posted on 01/22/2013, in Rod Serling, Twilight Zone and tagged Rod Serling, Twilight Zone, Twilight Zone: The Movie. Bookmark the permalink. 27 Comments. There’s an obsession with rebooting everything without any consideration for the original other than the knowledge that, come what may, fans will flock and even buy in the name of completeness. Good point. It can be a pretty cynical business. In a way, that’s what happened with Serling on Night Gallery. They just wanted to use his name, but they didn’t want to listen to him when it came to casting and story decisions, etc. I agree that a time-travel trip 96 years into the future is Serling-esque, but I can’t help but feel that the “future period pieces” of TZ mostly fell flat. I fear if the movie were released today it would be “dated” five years from now. I would much rather see a new series, with two 30-minute episodes if they need to fill an hour-long slot, and get some of the bigname fantasists of today to pen them. Can you imagine how good a TZ episode would be written by Ellison, Gaiman, Stephenson, et al? You’re right. Future dating IS risky. Off the top of my head, I’m thinking of how the bomb had been dropped in 1974 (“The Old Man in the Cave”), how boxing had been outlawed in 1968 (“Steel”), and how the first manned probe to Mars occurred in the 1990s (“On Thursday We Leave For Home”). However many episodes they air at one time, yes, each story should be a self-contained 30 minutes (minus commercials). And I agree, some big names like the ones you mention would be fantastic. The way to get a series like this back on the air is to get scripts written and polished first before any money is spent on production. There are so many spec scripts and new writers wanting to break into writing professionally. It may take a long time to wade through the crap, but I’ll bet a thousand writers in the USA and Canada can come up with 13 good scripts and launch a quality cable program like Mad Med or The Walking Dead, or Sons of Anarchy, or Justified, etc. Whoever has the rights needs an open call for spec scripts. Buy and produce the best of the best. If there isn’t a good script, don’t make a pilot. Good plan of attack: Make sure you have a slate of high-quality scripts, then put it into production. Maybe somebody who is more familiar with how TV works could explain why this is impractical, but it sounds good to me. Thanks, Karla! I think Hollywood should leave well enough alone! If you have a hankering with all-things TZ, just buy the discs! Live for the TZ marathons! Just leave what was *alone*—don’t “zombie-fy” it. It’s ok to wax nostalgic, but quit trying to recreate someone else’s greatness. Create your own, create a NEW greatness. Please, make money from something ELSE. Leave the Twilight Zone legacy alone…. You make some good points, Frank. I’ll admit, I’m a little more worried than I officially let on! I can see mixed results if they go ahead with a new series. On one hand, it could very well dilute the brand still further if it does no better than the ’02 series. On the other, it could introduce an awareness of TZ to a new generation, some of whom might be inclined to seek out the original (kind of like discovering a piece of classical music you love because a band you like did a rocked-up version of it). We’ll just have to wait and see, I guess. At any rate, thanks for commenting! In order for the TV series to be revived successfully, everything must be of the highest quality possible, such as the actors, writers and so on, in particular the writers. Personally there a few short stories by Stephen King that I think would make some great Twilight Zone episodes, particularly from the collection Skeleton Crew. You’re right. I remember some of those stories from Skeleton Crew, and they would make some very chilling episodes. “The Jaunt” comes to mind. Good idea! As we’ve discussed before — and as your exchange about “Night Gallery” above shows — I think the only reason anyone would put “Twilight Zone” on a new film or series would be to cash in on name recognition and a supposedly built-in audience. As others have said, there have been good Twilight Zone movies, like Serling’s own “Planet of the Apes,” or M. Night Shayamalan’s “Sixth Sense” or “Signs.” What would be gained by slapping the TZ brand on an otherwise stand-alone film? Cynical money grab. Like putting “I Robot” on a Will Smith script that initially had nothing to do with Asimov’s stories (and, in the end, only a little, although I like the film as its own thing well enough). 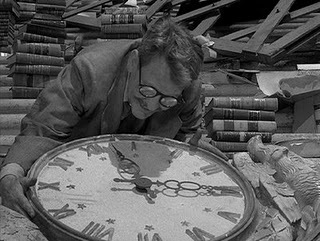 That’s why, for its flaws, the 1980s TZ theatrical film at least deserved to be called “Twilight Zone.” It gave us feature film, updated (some more, some less) adapations of iconic Zone episodes, mostly enjoyable in their own right, and even attempted one new Zone-esque story (didn’t quite pull it off, but that’s mostly due to the behind-the-scenes tragedy). 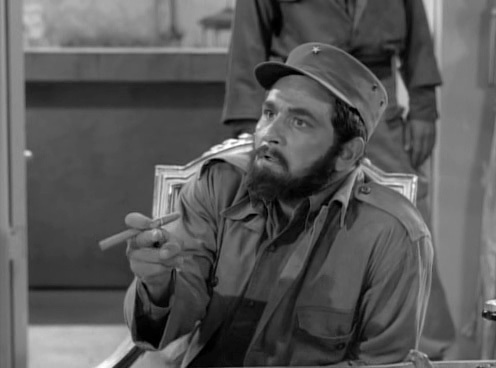 As for a new “TZ” TV series, I think there’s more latitude to grant it the name if it’s a weeky anthology. I’d LOVE to see it done in black and white — it would get it noticed in today’s oversaturated media, and might be the “gimmick” to get folks to stick around for really quality storyteling in the Serling, Matheson, Johnson et al. vein. Michael—I love these ideas! How utterly COOL! You a screenwriter?—get a script on these and an option now! You are very kind! Alas, no. A couple of short stories (one an honest-to-Great-Bird Paramount-sanctioned TREK tale, woo hoo!) are my only pro credits. Some great points here, Michael. The use of the TZ brand may well be simply a cynical marketing ploy. And that, to be honest, is part of the reason I wrote this — to make the best of a bad situation. My hope is that by cracking the code, talented writers and directors can do some good work and produce a worthy successor. I want them to think beyond the surface ingredients — really delve into the watchworks and see what made the show tick. Now, if they do that, will we have the original TZ series recreated, or a movie completely worthy of the name? No. 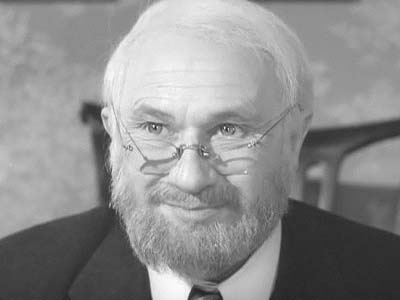 Serling brought a unique sensibility to TZ, one that can’t be perfectly replicated. But they CAN learn from what he did and come a lot closer than they otherwise might. I like your “meta” suggestion for the movie. Very creative! You offer a good way to solve the debate between having one long story and several shorter stories. King Solomon would be proud! Considering all of the challenges that the writers would face living up to the original TZ, wouldn’t it be easiest to film in black-and-white to achieve the setting that is much like our world, but a little different? That would be an easy way to set it apart, but I’d be surprised if they can get away with it. The conventional wisdom says color is a must. But this is TZ! If we can’t go for something unique and different now, when will we? How’s this for an idea: revive The Twilight Zone as a ‘period’ show, in black and white, starting in the mid-1960s. The scope of the show is ‘limitless’ within the ‘imagination,’ takes place in real situations, involving universal themes. Mad Men takes place in the same period of the original series. There is interest in that period of American society, and what was wrong with it, and what still in society needs improvement. So adding the Twilight Zone spirit, composed entirely of committed writers (as was not enough the case with the ’80s revival), in a period way, and building up in years with each season, could be one way to solve for all the problems of the other revivals. Interesting idea, Kyler. Sounds like it would be just different enough to attract attention, but not too gimmicky to be impractical. I like it! As long as whatever they wind up doing is true to the spirit of the original series, I’ll be happy. 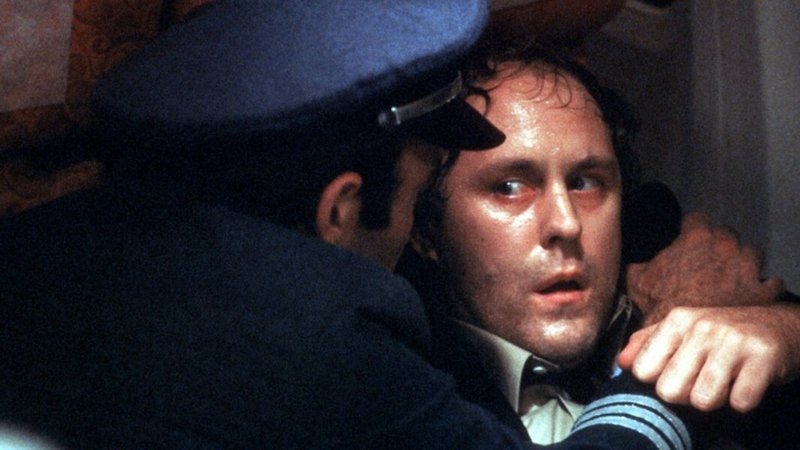 This will probably be an unpopular opinion, but if they make one long movie with only one story, I feel they should finish “Time Out”, Segment 1 from the original movie. We never got to see the real ending of the story, and I would like to. I believe it would’ve been the best segment had it been finished, but we all know of the tragedy that occurred on the set. Nowadays, they could make the Vietnam sequence with CGI and green screen and make it more impressive. Good, imaginative writing could carry it through an hour and a half, and the right director could make it very sinister and dark until the end, when it could become amazingly uplifting with the intended original ending. I mean no disrespect to the deceased actors by wanting it remade; in fact, I think it would be a great tribute to them if it were finished properly, to show that they have not been forgotten. It could even be dedicated to Vic Morrow and the two children who died. I never thought about that. Great suggestion, though. You’re right, today’s technology would undoubtedly give it an extra edge of realism AND make it safer to film. Unfortunately, I doubt anyone would even attempt it. For one thing, some people would look at the story’s history and assume that it’s cursed. I don’t hold with that thinking, but it’s a factor nonetheless. And there’s a good chance that it would be legally impossible too. I can just hear the lawsuits being filed now by the families of the survivors. Maybe not, but either way, my guess is that no one is ever going to revisit “Time Out.” And that’s a shame. Twitter brought me here. Beautifully stated on all points. I’d be curious to watch a few eps. new Twilight Zone,I may even stick with it if it’s good. But nothing could ever replace the original. It had Rod Serling, and writers like Bradbury and Matheson, Earl Hamner Jr. and many others. Instead of re-making classics, like Twilight Zone, why not re-make things that have a built-in audience that could have been better, as with the re-boot of The Outer Limits in the late 1990s & early 2000s? I’ve often said the same thing. I’d love to see a Night Gallery redux, for example. That’s a great idea! They’d also done it with Alfred Hitchcock Presents in the 90’s. Your take – and Jack Klugman’s quote – are dead on. With today’s twisty derivatives all trying to put crazy narrative each other, it will be interesting to see how a TZ 4.0 will work. Admittedly, I am very happy to see Jordan Peele in the mix! Also, I’m particularly curious to see how well this will/won’t work behind a paywall. I guess we’ll see, won’t we?